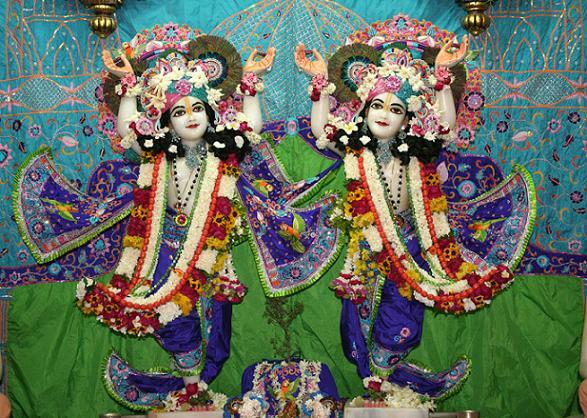 "Sri Krsna, the Personality of Godhead, who is the Paramatma [Supersoul] in everyone's heart and the benefactor of the truthful devotee, cleanses desire for material enjoyment from the heart of the devotee who has developed the urge to hear His messages, which are in themselves virtuous when properly heard and chanted. By regularly hearing the Bhagavatam and by rendering service unto the pure devotee, all that is troublesome to the heart is practically destroyed, and loving service unto the glorious Lord, who is praised with transcendental songs, is established as an irrevocable fact. At the time loving service is established in the heart, the modes of passion (rajas) and ignorance (tamas), and lust and desire (kama) disappear from the heart. 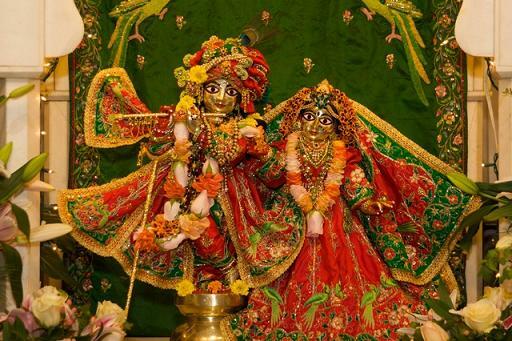 Then the devotee is established in goodness, and he becomes happy. Thus established in the mode of goodness, the man rejuvenated by loving service to the Lord gains liberation from material association (mukti) and comes to know scientifically of the Personality of Godhead. Thus the knots of the heart and all misgivings are cut to pieces. The chain of fruitive actions (karma) is terminated when one sees the self as master."